Surfing, golf and punk rock. With the stronger lofts that manufacturers have gone to, ive had a similar issue in the bottom of the bag. For years I went from a 47*/48* PW to a 56* and 60*. Now that I learned how to fit wedges, thanks to Titleist, I have a set up of 50*, 54*, and 58*. These are all after a 46* PW. It has allowed me to be more aggressive and make better swings when I’m inside 120 yards. I’ve played, lived, loved and hated this game for almost 40 years. I’m lucky enough to have this crazy game as my career. I will probably never get rich playing this game but damn am I having fun doing it. Having tested the new Sub Zero at around 9.5* with the Tensei stiff at 65 grams. I’m pleasantly surprised at the feel and distance I got. The Edge and Rogue Sub Zero offerings felt to light and dull to me. This new club had “pop” that I didn’t experience in the previous two models. I’ll recommend it to my students and the players I do fittings for. 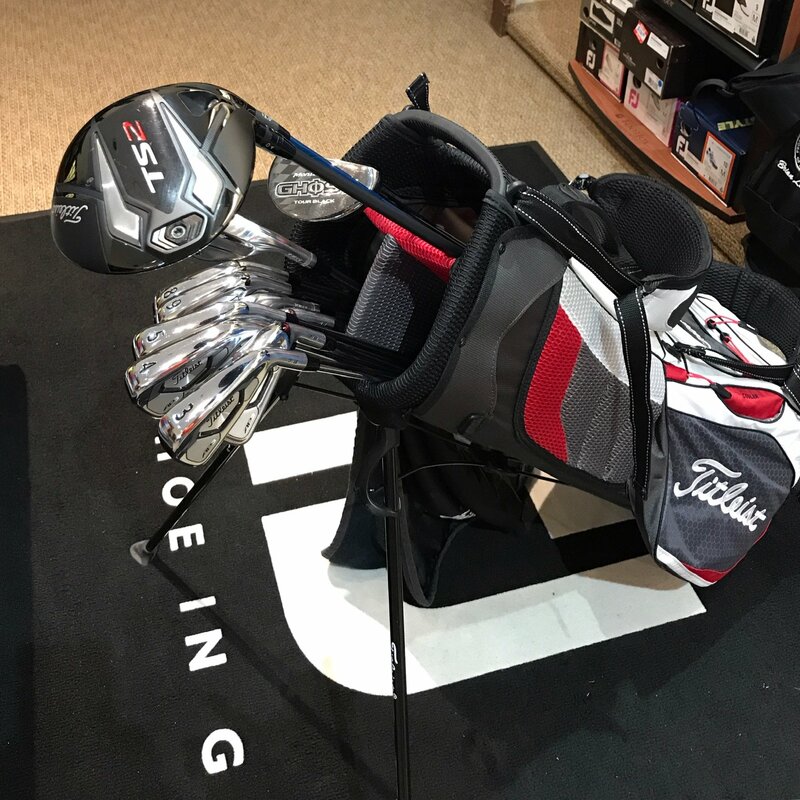 Don’t get me wrong, my TS2 is staying in my bag, but it is a nice option for players looking for a new driver. Edward-Virginia Foot Joy Worst rain experience was in 2004 during a PGA PAT. Little Bennet State Park golf course. As soon as I put a tee in the ground on number one the rain began, and got steadily worse over the next hour and a half. I was wearing a Foot Joy Premier rain suit, top and bottom, and by the time I reached the 7th hole at 2 over the rain was so heavy the saddleback green had a small river running off the front. When I hit my approach shot into the green it splashed and was promptly washed off the front of the green. When the PGA rules official saw this he stopped all play. Thankful for this choice on his part as my rain gear had begun to give out on me. I was soaked from the neck to waist, luckily my pants worked great. Lesson learned here is never go cheap on your rain gear, ever. Edward Virginia Beach, VA 5.2 Titleist AP3 AMT White S300 3-PW I 500.